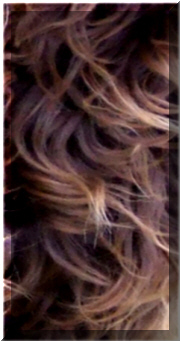 Unlike a shaft of hair that is dry the fleece fiber contains natural moisture this is believed to contribute to the dogs apparent absence of skin dander. Dander is responsible for many allergic reactions humans have to animals with hair. 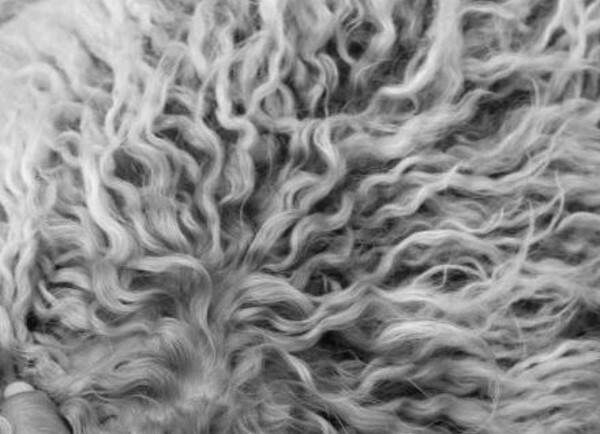 Still ,in todays breed development we have coats that are not wool like the Poodle, but they are Not wavy like the Ideal Fleece, these coats have a silky soft fleece texture and are moist and light reflective but are still more tightly curled with more "Crimping"rather than stapling currently we call this coat a "Spiral Wool" it is not a perfect fleece but if far superior to the harsh Wool. These coats are usually trimmed for easy care.